Look at all of those ships. Hulking great space cathedrals. Demon-infested battleships. Massive junk ships spewing out toxic fumes into space. Battlefleet Gothic: Armada is just lousy with spacefaring vessels, and all of them are delightfully ridiculous. Does it look good enough to get into our list of the best strategy games on PC? You’ll be able to flit around in your own from tomorrow, when the game launches, and if you need to catch up on what exactly Battlefleet Gothic: Armada is all about, well here’s a handy launch trailer just for you. It is, as you should now know, all about smashing huge ships into other huge ships and feeling really great about all the smashing. There’s a campaign, skirmishes and multiplayer battles to boot, but mostly it’s what I said before. The smashing bit. Also shooting too, I suppose. 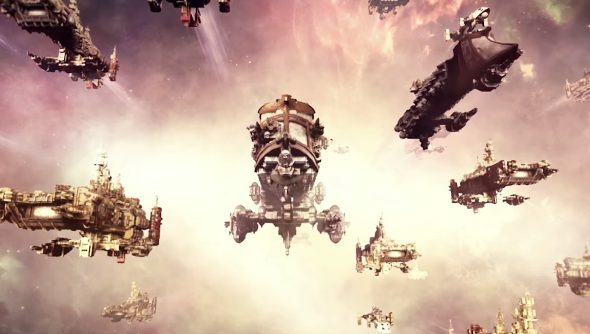 Battlefleet Gothic: Armada launches tomorrow.